Lilia Gomez Trucking Services provides registration services for 5 Star Car Title Loans customers. The store is located at 67 West Thurman Avenue, near the intersection with N Hockett St. 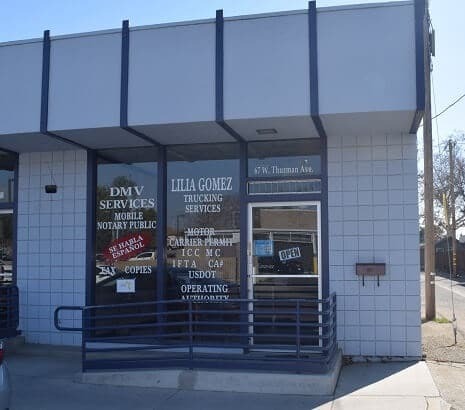 If you live in Porterville and in need of registration services, stop by Lilia Gomez Trucking Services that works with 5 Star Car Title Loans in Porterville. 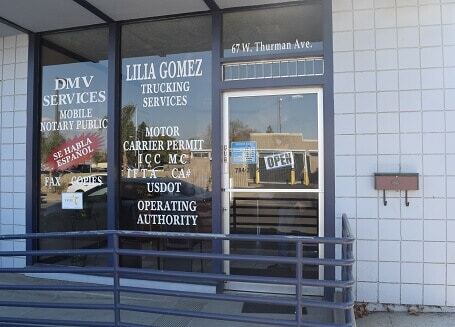 Lilia Gomez Trucking Services provides our clients with unmatched customer service. 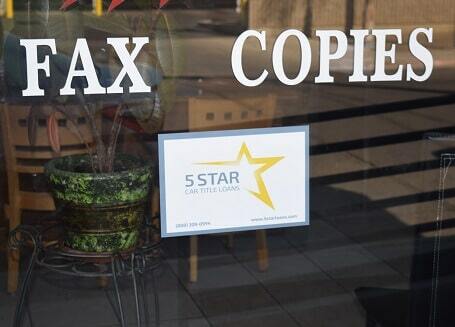 5 Star Car Title Loans does not issue loans at this location. Getting enough money to get through the month is not always so easy for people living in Porterville. If you could use a quick loan to help you out, send us your details in an application for car title loans online and we’ll see how we can help. What Specifically Are Auto Title Loans? In general, title loans are a type of personal loan that use one of your assets as collateral. Auto title loans are a special type of title loan that use a vehicle that you own as collateral. You begin the process of getting auto title loans by filling in an online application. Send it into 5 Star Car Title Loans in Porterville and one of the experienced clerks in our office will go over your details. What Is Needed to Apply for Auto Title Loans in California? When applying for auto title loans in California, you’ll need a valid ID and registration papers for your car that are up to date and in your name. To confirm that you’ll be able to repay the loan payments, we’ll also want to see a list that shows how much you earn each month and how much you spend. Sometimes we will also request a copy of your car insurance policy or other documentation. Send us an application for online auto title loans in California today. When Do I Pay My First Car Title Loan Payment? Will it be Twice a Month or Once a Month? After you sign your car title loans contract, your first payment will be expected in 30 days. Payments will be due once a month from that time. Can I Get a Car Title Loan with My Bad Credit Status? You can apply for bad credit loans even if you have bad credit. We base qualifications for no credit check loans on the value of your car, our credit criteria and your ability to pay, although for some applicants, a credit check may be required. Keep in mind that even if your credit is bad, you can still be approved for no credit check loans at 5 Star Car Title Loans in Porterville. Are There Prepayment Penalties with Auto Title Loans? No, don’t worry about being charged a penalty for early payment of your auto title loan. If approved, you can get at least a car title loan of $2,600, so go ahead and submit your application to 5 Star Car Title Loans in Porterville without delay.